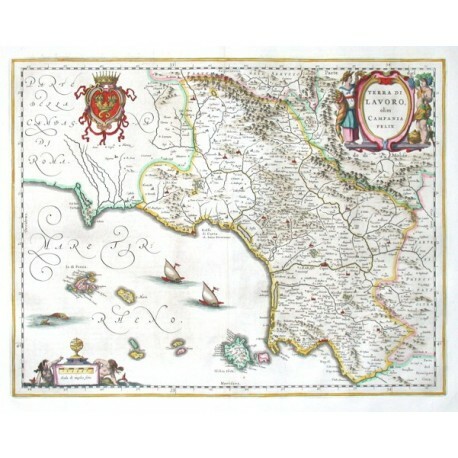 "Terra di Lavoro, olim Campania Felix". Orig. copper-engraving. Published by J. Blaeu in Amsterdam, 1644. Orig. old colouring. With figure title cartouche, great coat-of-arms, another figure cartouche with the scale of map ("Scala di miglia sette"), a sea-creature and 2 sailing ships. 38:50 cm (15 x 19 3/4 inch.). Koeman II, map 7410:2, ed. 2:202-3 (1644-55 Latin). 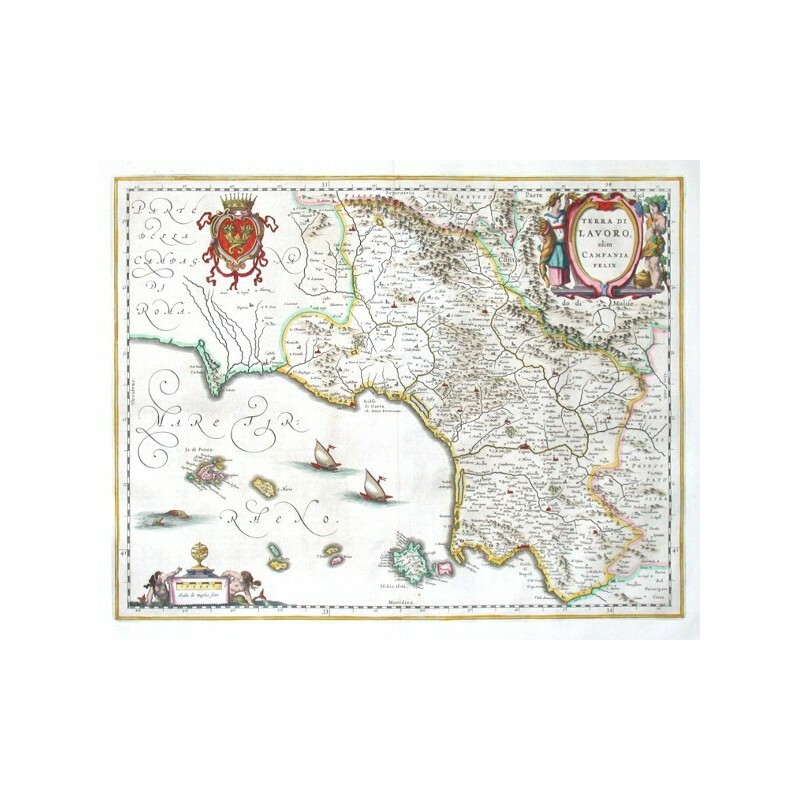 - A map of the northern part of Campania with Golfo di Gaeta, isle of Ischia and cities of Capua and Naples and many others.